Lê Hồng Minh is a friendly man with a smile that reveals the enthusiasm always bubbling below the surface. A passionate gamer, he led the Vietnam team to the World Cyber Game competition in Korea in 2002. Two years later he founded VinaGame. Tapping the previously untapped market for online gaming in Vietnam, VinaGame enjoyed explosive growth and quickly dominated the market for massively multiplayer online games. Following up on its gaming success, VinaGame launched the web portal Zing.vn in 2007 and social networking site Zing Me in 2009. Zing.vn is now the #1 website in Vietnam. VinaGame changed its name to “VNG” in 2010 to capture its wider universe of businesses. I sat down with Minh over seafood at Ngoc Suong restaurant recently to learn some of the secrets of VNG’s success. Minh: My first job was to work night shift as a shop attendant at 7-Eleven in Melbourne, Australia during my student time there. I worked there for 2.5 years, averaging 1.5 shifts (12 hours) per week during school year and 2.5 shifts (30 hours) per week during summer holidays. I made AUS$8/hour in the first year and it grew to about AUS$10/hour in my last year there. There are two key lessons I learned from the 7-Eleven job. (1) Real work is hard and demanding. I had to arrive at 10PM and work until 7AM the next morning typically for one shift, attend the cash register, clean the whole shop, and re-order and receive goods in the morning. It was tough physical work, especially when you didn’t get to sleep. (2) You need to learn to enjoy the work, not just show up to make some money. At first I took the job to make extra money during my student years. However, I started to enjoy the interaction with many different customers. I used my time to improve my communication skills by making jokes in English with them. I began really to enjoy the work which was partly the reason I stayed on the job for so long. Minh: I was working in the investment field prior to starting VNG. I had many opportunities to evaluate and invest in multiple businesses. So the hard work and challenges of starting up a business did not surprise me a lot. The actual surprise was the out-of-expectation success of VNG in the beginning, but this sounds quite uncharacteristically immodest for me. The other surprise was that I was able to learn so much about individuals’ personalities and characteristics working with them in a start-up. I think this is something that many people might not realize or learn enough in their leadership role. Minh: I am a voracious reader and learn from so many business, history and biography books, mostly Western writers. I think I am influenced the most by the practical approaches of Jack Welch. We implement many things from the GE model at VNG. On the other hand, I try to learn a lot from all the people I meet, including all the people within VNG. Much advice from Bryan Pelz (VNG co-founder) helped influence many of my decisions in early days of VNG, and many advices and debates from current VNG’s senior management team help me make decisions today. Chris: What’s the one thing you wish every new manager knew? Minh: Saying “no” is the toughest decision a manager needs to make effectively. This includes people decisions (“No, you do not do well here”), strategic decisions (“no, we will not do this because this means we lose the focus of our business”) and value decisions (“No, we will not do this because it violate our values”). Minh: Picking the right person for the right job. I love seeing them grow and deliver fantastic results. Chris: How do you ensure that the company values and culture remain strong as VNG grows larger? Minh: Leaders need to be very clear about values and culture. It is easier said than done. It’s important to have a clarity of what values you want the organization to have. You need to be clear on what behaviors and actions you want to see and those you do not want to see. This happens on a constant basis. Then you must to embrace it constantly – from your heart, from your words and from your actions. You reward and punish people according to the values and the culture, not just their performance. This is increasingly hard to do as the organization scales because your time is limited. There are more things to do. Many of those things are urgent but might not be important. Also there are many more people and you might not be able to impose all of this clarity down throughout the organization. Thus the leader must always put clear and constant communication about values and culture and resulting behaviors and actions as one of his most important tasks. And he must make sure the rest of the leadership team do the same. Chris: How do you attract and keep the best talent at VNG? Minh: This is a question to which everyone wishes they knew the answer. The reality is that it is the actions that count. The key thing is to put “talent” at the center of everything you do. You’ve got to feel deeply that your #1 job is all about people – attract the best, manage them, grow them and keep them. For me, even though I read all about this before starting VNG, I only learnt and felt this as time goes by. The more I lead, the more I “feel” this urgency. Once you have this urgency, many of your decisions – how to allocate your time, how to spend the company resources, how to construct the company strategy – naturally will begin to gravitate around people and talent. You want to scout as many talented people as possible, both inside and outside the organization. You want to talk to them about the prospects for the business. You want to give them real opportunities to learn and to prove themselves. You want to coach and help them overcome difficulties and problems. You want to reward them or push them harder. There are so many things to do to attract and retain great talent, but the first and foremost is you really have to put people as #1 priority. Minh: “Winning” by Jack Welch has been my favorite business book. 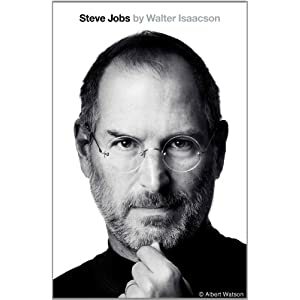 The most recent book I read was the biography of “Steve Jobs” by Walter Isaacson. Help me to thank Minh for a great interview — click here to send him a thank you tweet! PS – If you liked this interview, why not subscribe to be notified of new posts? PPS – Follow me on Twitter! Yes, Mr Minh is very friendly and the good manager. I have opportunity meet him and have a talk to him. His mind set is very modern and sympathy for the other. Yes, he is. Entytai. Vietnam needs more business leaders like Minh. Thanks anh Chris a lot for recent interviews. Minh has been an outstanding leader since the time he was 18 year old student. He was born to do that. It is very interesting that Minh mentioned Steve Jobs by Walter Isaacson here. When I read this book, it reminded me a lot of the sharpness & extremely high intensity that Minh has put in his work & focus, as I know. I admire what VNG team has done so far to make VNG & its products reach their current level, although there are definitively still a lot of works to do, for sure. Hi Bich Nga — Yes, Minh is an impressive leader. What strikes me most about him is now earnest and humble he is. When speaking with him, you do not get the sense that he is leading a large company. I find the best leaders are the most humble, because they have nothing to prove. Excuse me, Chris, Do you have an email of Minh? I Have some question for him. Minh is very good Leader. Hi Hoa – Unfortunately I am not in a position to share Minh’s email without his permission. You might try calling the VNG office directly.